Emerging as a knight in shining armor for the under-privileged and the under-represented class, National Law School of India University has adopted one of the most progressive scholarship policies. The lack of diversity of students who qualify for the National Law Schools of the country became the foundation stone for this scholarship policy. IDIA Diversity Survey studied the incoming group of students in the year 2013. The Of all the students who secured admission into the top 5 NLUs in the country, only 5 had studied in vernacular medium schools. Over 50% of the students hailed from families where the average monthly salary exceeded Rs. 1 lakh; and in over 70% of the students’ families, both parents spoke fluent English. Further, almost 87% of the students had received expensive CLAT coaching, which now comes at a whooping price tag of around Rs 1 lakh for two years of coaching from the leading coaching centres. As made clear from the CLAT brochure in the portion dealing with NLSIU: “The motto of NLSIU is that no one who secures admission to NLSIU shall discontinue studies on account of financial constraints. Keeping this in mind, the NLSIU will provide necessary financial assistance to the needy students.” The scholarship hence visualizes a departure from this lack of diversity. A Committee comprising of Professor S. Japhet, Convenor; Professors - Govindraj Hegde, A. Nagarathna, Anuja S. – members, was constituted by the Professor (Dr.) R. Venkata Rao, Vice-Chancellor, NLSIU on 15th April, 2015 to prepare a Scholarship Policy for NLSIU. 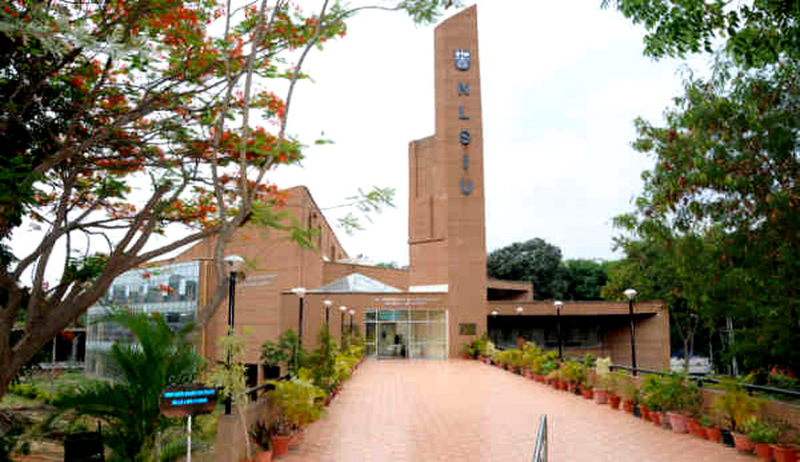 The policy applies to all scholarships administered by NLSIU, Bangalore, including internal scholarships instituted by the University as well as external scholarships instituted by third party donors. Scholarships will be available in two categories: those for incoming students into the various courses (LLB, LLM and MPP), and those for existing students (either fresh scholarship grants or a renewal of an existing scholarship(s)). No candidate applying for Financial Assistance in a particular Academic Year will be required to pay the fees for that year till the University declares results for the same. This fee amount shall include all fees to be payable to the University and or affiliated bodies/departments including hostel and mess fees, unless the University thinks the candidate financially capable of making these payments. With regard to the initial CLAT deposit, such deposit shall be returned by the University to a successful scholarship candidate, only if the University feels that the candidate and his/her family will be put to undue financial hardship without the return of the said deposit. For the 1st and 2nd year B.A. LL.B. (Hons), 1st year MPP and LLM students, the scholarship selection will be purely based on the financial ability of the candidate to pay the required fees and other charges. In case of all other Candidates, the Scholarship Committee may take into consideration other factors ordinary considered in a “merit” focused scholarship including academic performance, contribution to the University through extra-curricular activities, co-curricular activities, voluntary work, social work, or other initiatives demonstrating leadership potential. The policy is to be stipulated to be referenced in the CLAT brochure and on the CLAT website about the University, such that all prospective students are informed of the fact that the University has a number of scholarship schemes to ensure that none will be denied access to education only on account of lack of means. The note shall also make clear that in the case of financially poor candidates, no upfront payment of fees is required to obtain admission into the University. Rather, the student is granted admission without payment of fees, pending decision on the scholarship application made by the candidate. The composition of the Scholarship Committee has also been prescribed. The chairman of the Scholarship Committee shall be the Chairperson of either the UG Council or the PG Council, drawn on a rotation basis each year. The Committee shall have a term of two years. The minimum quorum for meetings shall be at least 3/5th of all members. It shall meet at least twice a year. It envisages to ensure that the University shall, through the scholarship committee (and its various subcommittees and groups) take all reasonable measures to ensure that the funds available each year through internal and external scholarships are sufficient to ensure that each deserving candidate is provided sufficient financial assistance including a healthy stipend to cover living expenses and reasonable costs enabling them to fraternize appropriately with their peers, without suffering any form of social exclusion. The University will also endeavor to provide avenues for students to undertake paid part time work at the University such as research assistance, library work etc, whilst at the same time ensuring that the nature of tasks entrusted are not so onerous as to interfere with their studies and academic progress.